My job completely wore me out each day this week. When I get home from work is usually when I do the creative stuff whether for pleasure or profit. This week, Monday through Thursday I did absolutely nothing but eat dinner and stare at my tablet screen. I wanted to knit, but all of my projects on the needles involve cabling. I love cables, but this week they were just too much work. 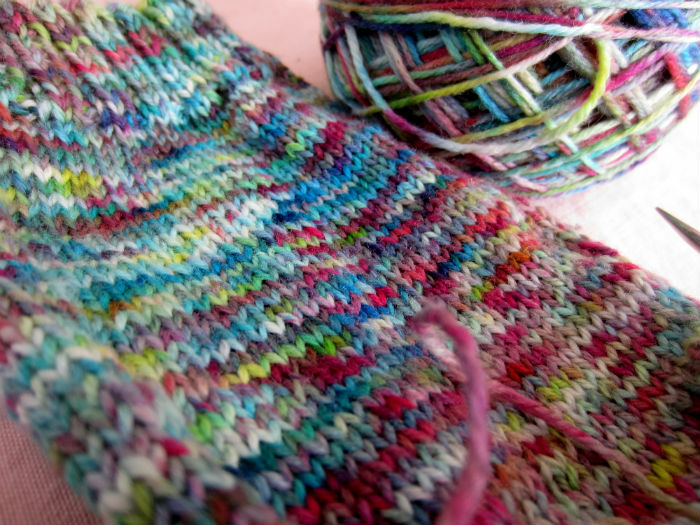 I haven’t been fit for anything other than stockinette in the round–if that. 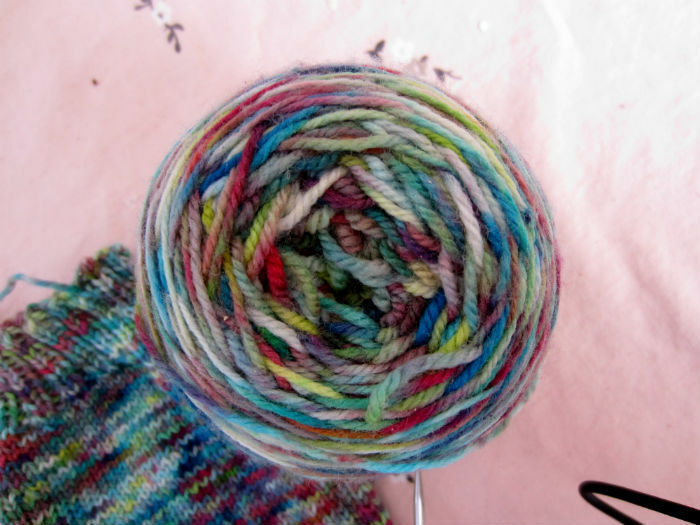 Last night, I finally cast on for a pair of socks, my favorite kind of stockinette in the round. I used this yarn, which is very similar to the stuff I just posted in my shop, so if you were wondering how it knits up, you’re welcome. I dyed this last year for a sweater project for myself, which I have since cannibalized to knit this pair of socks and then to turn into another baby sweater/hat/bootie set. I guess I was really jonesing for a simple knit, because as soon as I cast this on, the stitches starting flying, and so did the ideas for all the other projects I wanted to knit. In one evening I knit what you see above: cuff, five inch leg, heal and heal turn. 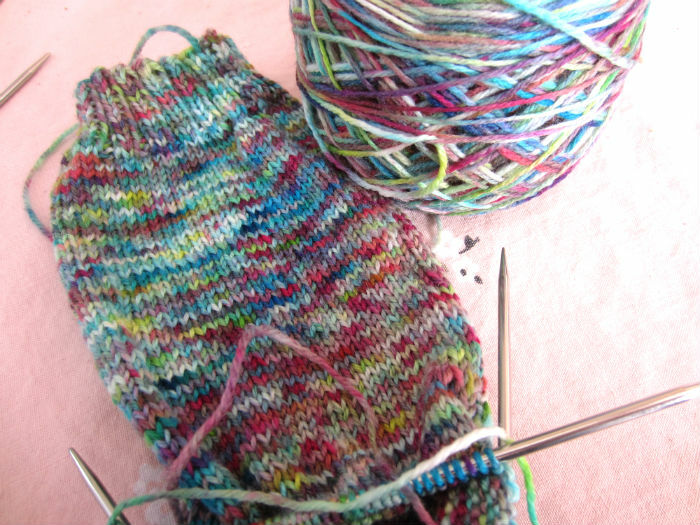 Today I’m going to try to finish this one and see how far I can get on the second sock tomorrow.